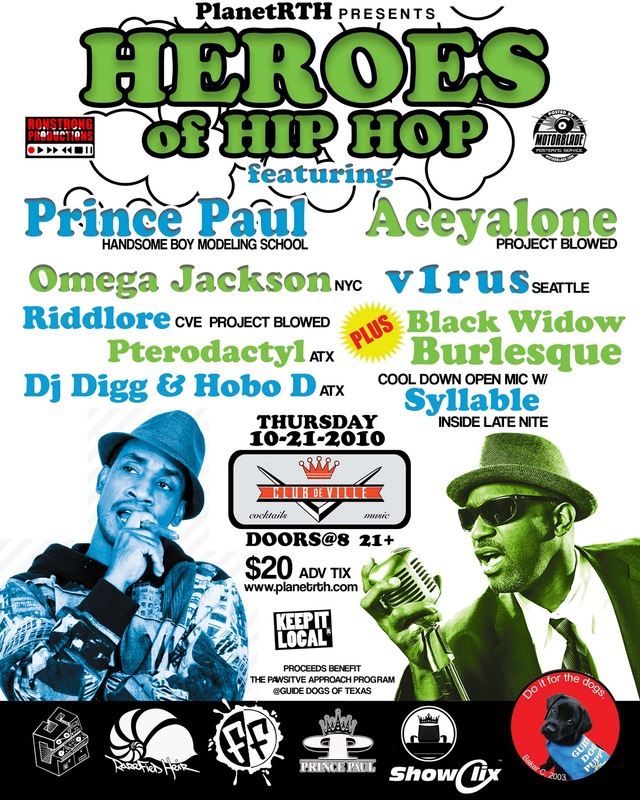 From the for the good of it department... PlanetRTH Presents Heroes of Hip Hop with Prince Paul and Aceyalone @ Club Deville on Thursday, Oct 21st! Come out for a GREAT show for an even better cause! (Don't tell the performers, but the real heroes are the brand new puppies at Guide Dogs of Texas - they'll be 15 days old on the 21st! *) Let's welcome them with the kind of celebration only Texas can do right! and a special late-night freestyle session with the crew from SOUND OF SYLLABLES Hip Hop Open Mic Night! Local royalty DJ DIGG (Table Manners Crew) and HOBO D (Peligrosa All-Stars) are going to play turntable tag team to keep those ears delighted. But wait, there's more! The lovely ladies of BLACK WIDOW BURLESQUE will be putting on an exclusive show and brightening up the crowd all night! Tickets $25 at the door so get 'em here for only $20. 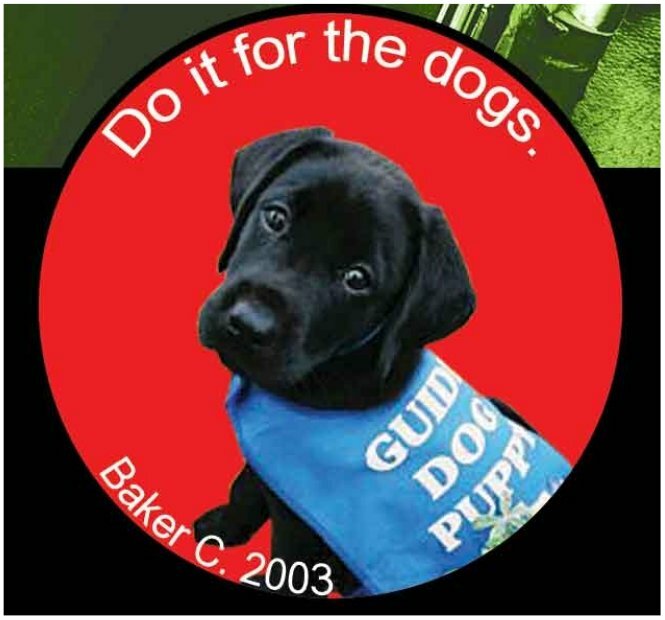 *Proceeds benefit the amazing Pawsitive Approach Program at Guide Dogs of Texas. Check them out: Guide Dogs of TX Pawsitive Approach. Those dogs are changing the world. 21+ only, please. Happy dogs on leashes welcome! Paul Huston, better known by the stage name Prince Paul, is an American disc jockey and hip-hop record producer. He was also a founding member of the Gravediggaz where he used the name The Undertaker. In 1990, Russell Simmons gave Paul an imprint under his Def Jam label. The imprint's only album, It Takes a Nation of Suckers to Let Us In by Resident Alien, was never officially released. In the liner notes of De La Soul's 1993 album Buhloone Mindstate, Paul hinted at his future projects with the Gravediggaz: "I would like to thank all my friends and business cohorts who dissed me, played me, and jerked me when times were hard. For you made me wiser, stronger, crazier, and, most of all, a Gravedigga!"